Why buy it? Desirable higher performance model with 225bhp thanks to dual fourbarrel carburettors. 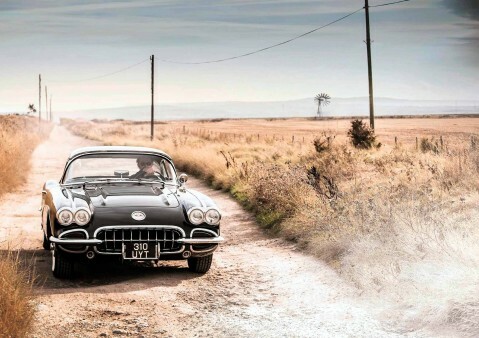 Presents well with good chrome and what has to be the best Fifties Corvette colour – Cascade Green. Highly original and still has its Wonderbar radio. The Pilgrimage. Great drives to meet marque gurus. ‘The C1’s suspension allows you to chuck it around’ We pilot the first of the twin-headlamp Corvettes to Britain’s top guru via the birthplace of British aviation in remote corner of Kent. Words Russ Smith. Photography Charlie Magee.